Realestate.co.nz’s latest data shows the Auckland region saw a 1.9% fall in its average asking price in March, which left it at $942,232. The region’s average asking price is not only down on February, but down on March last year when it was $949,538. At the same time, the region saw 4,363 new listings in March, which is an increase of 4.6% on March 2018. That meant there was a total of 11,026 residential properties on the market in March, which is a 15.2% rise on the same time last year. The data also shows that Auckland properties are now taking longer to sell. Realestate.co.nz spokesperson Vanessa Taylor says this combination of factors indicates the Auckland market is shifting into a buyers’ market. “In the current market, buyers and sellers can take a more considered approach to purchasing their next property. Taylor says the current, relatively stable price environment makes for less stress and more realistic expectations for both buyers and sellers. In a similar vein, Trade Me Property’s latest data shows that while March saw Auckland prices increase by 1.4% year-on-year, the region’s average asking price has fallen $25,000 to $925,550 since its peak in October last year. Head of Trade Me Property Nigel Jeffries says there’s no doubt the Auckland market has taken a backseat after years of remarkable growth, with Wellington now taking the spotlight. The supply and demand equation has finally levelled out in the Auckland region, he says. “In March, the total number of views on properties for sale was up 8.3% on the year prior while listings onsite rose 9%. Meanwhile, Realestate.co.nz’s data shows the national average asking price crept up 0.3% to $677,746 in March, as compared to February. Additionally, five regions hit all-time average asking prices in March. They were Wellington (up 0.7% to $657,788), Manawatu-Wanganui (up 0.7% to $389,850), Marlborough (up 4.4% to $536,146), Central North Island (up 4.1% to $518,774) and Southland (up 2.5% to $336,226). 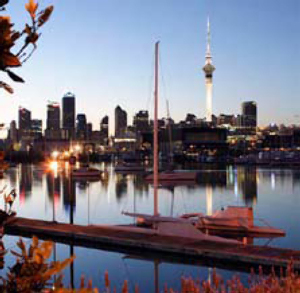 Taylor says the rises in regional markets served to counter-balance the impact of Auckland’s fall. The Trade Me Property Price Index reveals price growth around the country, along with a year-on-year 6.2% rise in the national average asking price which left it at $676,150 in March. It also has every region experiencing an annual increase in their average asking price and seven regions reaching new records. They were Wellington ($656,100), Canterbury ($497,000), Bay of Plenty ($649,550), Manawatu/Whanganui ($371,700), Otago ($587,350), Southland ($320,700) and Waikato ($580,650). Jeffries adds that the total number of views on property listings on Trade Me Property climbed 10% on the same time last year and this increased demand was pushing prices north. saying the market "has shifted to favour buyers" is well enough. Clearly that is starting. Saying it is a "Buyers Market" is a gross overstatement. Prices would have to come down substantially before any economist worth their salt would call this a buyers market.